Embedded Tech India Expo 2019 will be from 29th to 31st January 2019 at Pragati Maidan. 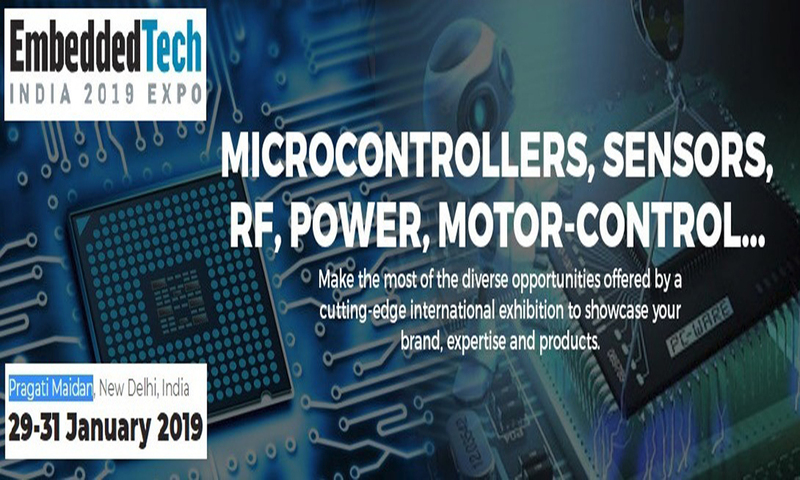 The embedded tech India expo will be held from 29th – 31st January 2019 at Pragati Maidan, New Delhi. The expo will feature leading-edge products and solutions for embedded systems that enable smart things, smart industry, smart home, and smart cities. At the show, we will host various demonstrations that use microcontrollers, sensors, RF, power, motor-control, secure MCUs, and other solutions. Visitors can also experience a range of embedded-system developments. For more information contact us on 911142795000 or drop a mail at rahulrishi@eigroup.in.